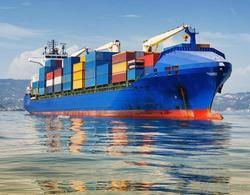 We offer comprehensive Ocean Freight Forwarding Services to major ports in India from all origins across the world. We provide worldwide door-to-door services. Through our distribution channels worldwide and offices within the country we offer integrated service for forwarding requirements in its totality. Ocean Freight/NVOCC Services offered from our end is based on offering time definitive services that enable clients to achieve objectives in supply chain management. Being fastest door to door transit times, we offer annual contract rates with the choice of carriers that meet our service criteria. For those clients who want to ship their consignments, we offer sea freight forwarding services that are tailor-made to suit the specific needs of our clients. Be it bulk consignments or small consignments, we guarantee to deliver them within the promised time frame. Our modern tracking system helps us maintain a track of the shipment while in transit. We provide highly reliable sea freight forwarding and other allied services like Ocean Forwarding, FCL container management and customer-in-house services. 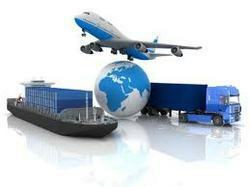 These services are handled by our well trained professionals, who provide complete support to the clients in dealing with the intricacies of global shipping.